Have a family history that needs scanned? Bring it with you to FGS 2018 and FamilySearch will scan it for free! 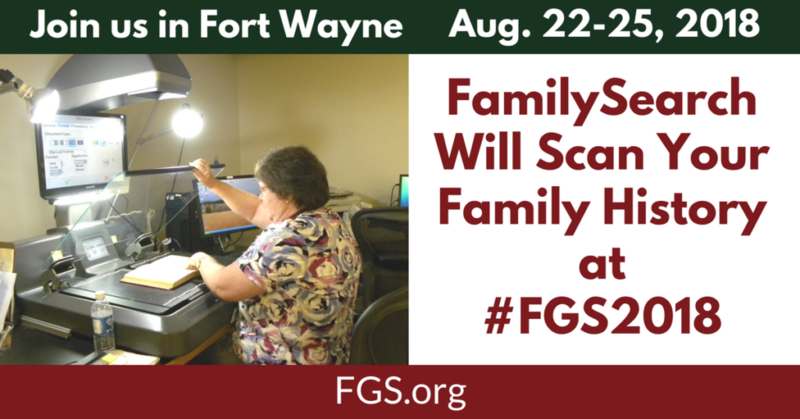 FamilySearch Book Scanning and the Allen County Public Library are offering a free service to digitally preserve your written family history at the upcoming FGS Conference in Fort Wayne. FamilySearch will scan and publish a searchable digital copy online! You keep the original.